The Dark Zone is a hostile but high reward area in The Division. Roughly speaking, it runs straight down the center of map, covering about a quarter of its total size. Players can enter this hostile area anytime they want by simply finding an access point. Once inside, it's a PvP playground that offers some of the game's best loot. Like most online RPG's, the Dark Zone is an instanced mode - meaning that X number of players will join the area with you. Some may leave but overtime new players will spawn into the session with you. The number of players that can spawn in at anytime is restricted to keep the zone from being overloaded and unfair. In addition to instanced players, everything inside the Dark Zone is also instanced at the point of creation. This includes loot and enemies which do NOT persist each time you leave and rejoin the zone. There are many Dark Zones in the game and each one has a DZ prefix followed by a numerical number. For example, DZ02. The Dark Zone has multiple entrances and each one is at a fixed point on the world map. The same is true of entry points inside the Dark Zone - new players will pop into the zone through these areas. You may be familiar with this concept in Destiny's Patrol mode where players pop in and out of areas as they pass through doors. 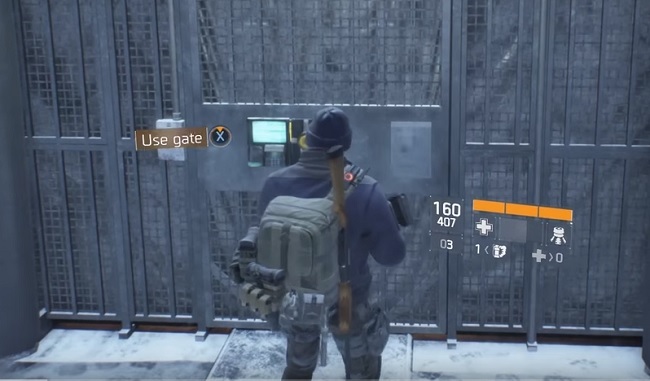 In The Division, experienced players will usually choose to keep away from these entry points in an attempt to avoid griefers and troublemakers. If you die in the DZ you can choose to respawn in one of the two closest entrances. A single zone can support around 4 teams. Each team can consist of 1 to 4 players, depending if players are working as a team or playing SOLO. So in total there could be as little as 4 players in the Dark Zone (if everyone is going SOLO) or as many as 16 (if everyone is in a 4 man team). Once inside the DZ, you start off as a neutral agent - no-one is your friend and no-one your immediate enemy. As you progress through the zone looking for loot crates and enemies you will of course stumble upon other human players. These players can either choose to work with you or against you. You can also make the same decision: do you want to kill the person or look for loot together and share the rewards? Should you decide to kill the player then you're immediately given a Rogue status. It's like a big alarm bell that tells other players you're a killer and an XP bounty gets placed on your head. From then on, it's open season to kill you. You can read more about going Rogue and the implication here. Inside the zone, loot crates and high level enemies will drop gear and other rewards that you can pick up. 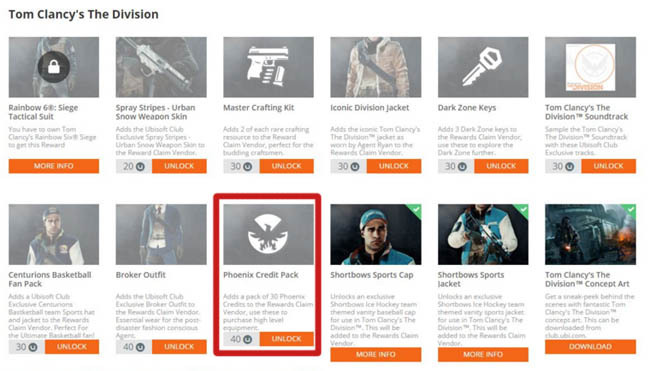 Before this loot is permanently yours, you must extract it from the Dark Zone for safe keeping. This process is called extraction and requires the player to use a flare gun to call in a support chopper. The loot is then attached to the cable of the helicopter and at this point the rewards are safe. Other players will know you are carrying loot because a bright yellow pack appears on your back. 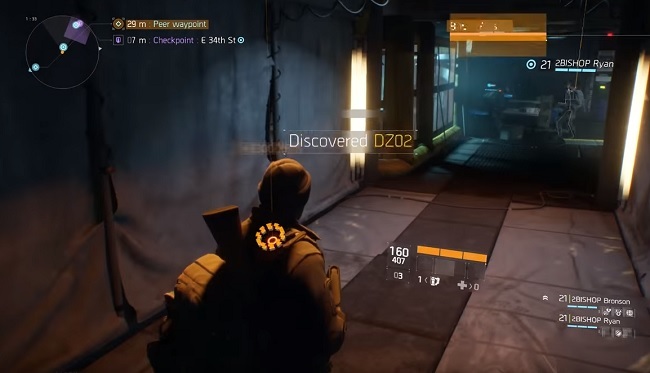 There are roughly 3-4 extraction points inside the Dark Zone and until the loot is airlifted to safety it's still part of the Dark Zone and available to other players to steal or share. In Alpha it took roughly 90 seconds before the loot was safe, this later dropped to about 70 seconds in the Beta. This rate may vary as Ubisoft release the gamer and any subsequent patches. No matter what the extraction duration is, the Dark Zone remains a dangerous place and gaining rare loot is a risky business. Everytime you die in the zone you lose DZ funds which makes the DZ a competitive gamble. 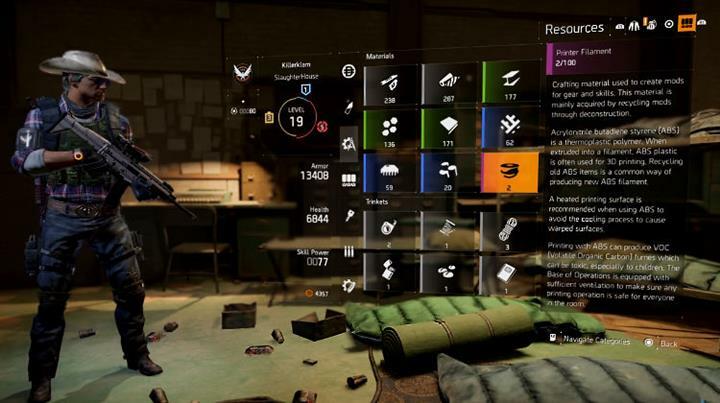 The Division has two separate rank systems: one for PvE and the other for PvP. Players must climb the Dark Zone XP ladder independently - dying will deduct XP and disposing of Rogue Agents and other mobs will reward you with XP.